This was seen as a great opportunity to build on the successes of the previous scheme and at the same time introduce innovation to further develop existing arrangements and add value to gas consumer safety. 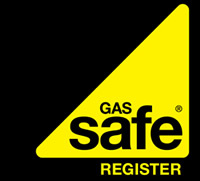 A cross HSE project team supported by expert external legal and procurement advice and overseen by a Project Board ran a procurement exercise to select a provider to run the new scheme and on 8 September 2008, HSE awarded a 10 year contract to Capita Gas Registration and Ancillary Services Ltd (CGRAS – part of the Capita Plc) to provide a new registration scheme for gas engineers - Gas Safe Register. In 2017, HSE began a procurement process in line with the Public Procurement – Concession Contracts Regulations 2016 (PPCCR – regulation 18 refers). On 11 September 2018 HSE announced the preferred bidder as CGRAS. A new five-year Services Concession Agreement will commence on 1 April 2019, with a six-month transition period starting on 1 October 2018. Revised inspection targets – by applying a risk-based approach to target inspections where they will have most impact, the number of inspections will reflect the number of businesses registered and the risk these businesses and their engineers represent. Enabling registered engineers to more easily access data held about them (such as inspection history and findings, risk rating). A commitment to explore the benefits of introducing student registration. The introduction of an advisory panel to the Register with representation from across the industry, focussing on the smaller businesses that are not represented on other industry platforms, to improve engagement and communication between the industry and the Register.